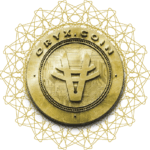 Oryxian Community Leverages new age technology blockchain to disrupt Venture Capital funding through tokenization and investing into great minds and great ideas. Become a super Investor by investing in multiple startups through cryptographic digital asset while ensuring liquidity is available anytime. Everything you want to know about acting big for endless opportunities by investing in successful startups for a safe and secure life. You can find endless reasons to choose OryxCash and we have listed a few for you! A Private Blockchain – Nihilo Private exclusive for Investment & Wealth Management Activity. A common man VC model Investment Platform with a minimal entry for better Investment. 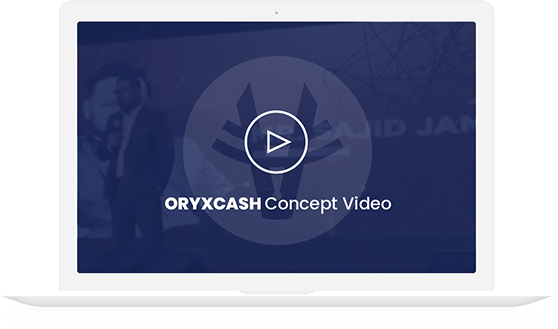 By Investments in OryxCash you are indirectly holding stocks in a unique portfolio of startups and early-stage companies. Liquidity provided by way of exit through exchanges thus giving investors the market-linked pricing for their holding. 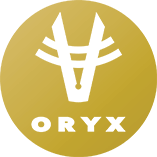 Appreciation in investments will determine the allocation weights for the distribution of OryxCoin dividend rewards. Digital Bank – Uruguay; Puerto Rico. OryxPay Prepaid Master Card Rollout. start: 25th april 2018 closed now! start: 20th Aug 2018 closed now! In our bid to give back to society, OryxCash’s global investment mission is to promote social awareness opportunities supporting charitable and humanitarian projects in a variety of municipal public good sectors. 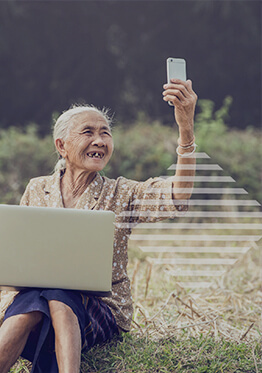 Our investment guidelines ensure that the groups and organizations we collaborate with can add value and enhance the “Human Development” equation for all aspects of life. OryxCash has partnered with Rotary Tanzania, part of Rotary International. Every fund raised during our ICO .5% of the funds will be transferred to Rotary Tanzania selected projects. Upon our successful exit from any investments, 2% of the gain from such an exit would be allocated to the Rotary and other partner charity organizations. Connect Now to Join the New Age Fintech Revolution. An astute business visionary and a seasoned entrepreneur, investor and a former banker. 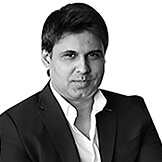 Sajid Jamal was involved in some early stage and growth stage ventures across the Middle East, Africa and India. From starting his career in London he played an active role in finance for two of the largest oil Giants, AMOCO and British Petroleum. He also worked as Credit Manager for a Boutique Bank in the UAE. Today Sajid manages his family wealth and runs a financial advisory firm that deals with debt management and restructuring through his Mauritius based company, 88 Capital & Investments Ltd. He also leads the new startup Fund with his global industry network through Oryx Prive Investment LLC. His entrepreneurial vision has enabled the best practical use of a disruptive technology innovation to marry the classical PE model. That is the Oryx Cryptocurrency fundraising and investment management Model. He has now improved on this model by identifying and investing in an ecosystem of Blockchain and Crypto enabled services. Ciprian will be providing key expert advice, business insight and professional guidance on topics related to Blockchain, Cryptocurrency, Digital Currency, E-Money, e-Wallets, direction, processes, business development, sales and marketing of the products and services. Over 15 years’ experience in production environments and greenfield projects with extensive management skills in managing companies with 200+ employees. Implementing basic responsibilities that are associated with the Business Development Manager and General Manager position, examining the company’s competition to develop better development strategies, increasing profits for the company in general and establishing relations with a sales team or sales coordinator. For the last two years deeply involved in mining operations and global Blockchain technology projects with cross-functional intent to investigate business disruptive emerging technologies, define appropriate strategies to maximize on presented opportunities while mitigating threats, and execute those strategies using a Blockchain network. Sujas Ali is the founder and CEO of Aabasoft, a first generation IT Company started in Kerala. 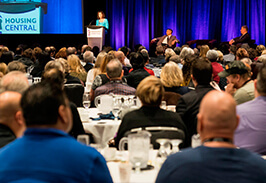 Sujas was driven by a strong belief to build an organization deeply committed to quality, value and time, with a firm belief that success in business will eventually follow. Sujas has been instrumental in shaping Aabasoft’s strategy and aligning it with the future business landscape by promoting its values and client-first culture. Founded in 2002, Aabasoft is a customer driven service and solutions provider capable of building top notch products and services by understanding the complexities of the clients to build a robust IT infrastructure. In 2008, Aabasoft started its operations from Info Park and now has a full-fledged team of talented professionals for both iT & BPO services with 600+ employees showing its enviable presence in USA, UK, Middle East and India. A team of dedicated young talents with a spirit to work round the clock is the energy source for the success of Aabasoft. His passion for technology and financial management helped to build an End-to-End IT solutions company with a focus to develop financial management and enterprise solutions for various SMEs and Corporate organizations. Aabasoft is focused on developing various solutions for financial accounting. healthcare, education, e-commerce and enterprise mobility. 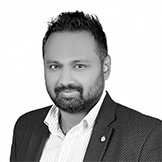 Along with his technology solutions development Sujas expanded his business focus on IT Infrastructure Development, Data Centre Services, Contact Centre Services, Domain and Hosting, Skill Certifications, JoT & Embedded solutions Development. With years of expertise in the IT & ITES services industry and deep operational knowledge in building and scaling businesses, he has been instrumental in bringing AABASOFT TECHNOLOGIES INDIA PRIVATE LIMTED to the forefront of IT Industry. 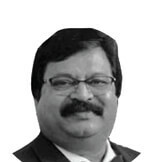 Pradeep Kumar is a Technocrat who has rich experience in running Multi National companies in South Asia. Pradeep has experience of scaling up the operations of ST Microelectronics in India from a 2 staff company to 2200 employees. He has worked successfuly in scaling up and growing the business from a revenue of USD 1 million to USD 400 million. He turned ST Microelectronics into India’s second largest semi conductor manufacturer. 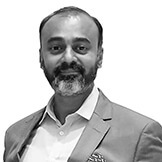 As a trained Engineer and Management profession with rich global experience, Pradeep has worked closely with FICCI, CII and various Associations. Pradeep has worked with various Ministries of the Government of India in policy formulations on behalf of the electronics industry. He has been member of various committees for developing Industrial policies for the Industry. 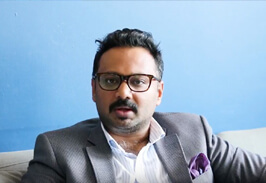 Pradeep has won accolades and visibility in the Corporate Headquarters of a Worldwide Organization and was elevated in to the position of President, India & Vice President of Emerging Markets, in recognition of his contributions and achievements in building up the India organization of the Company. 18 years of rich experience in Banking and Financial Services of successfully building and managing businesses, formulating and executing business strategies and delivering growth. 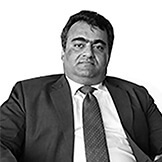 Arif has worked with large global Institutions such as HSBC Group, Coutts, Standard Chartered, ABN-Amro and Alliance Bernstein in the markets of India, Middle East and Africa as Business Head. He has completed MBA in Finance from SIBM, India. 16 years’ experience in Business Development, M&A, Private Banking, Investment Management and guiding business families in the growth of family wealth, restructuring, estate planning and succession planning. Mujtaba has been a Private Banker at Merrill Lynch as VP Middle East and Asia. He later joined Crossbridge Capital in Singapore an EAM with a minority share of Julius Baer. He worked as a Team Leader Executive Director heading the Asian market and covering the Middle East from Singapore. 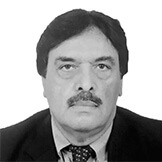 Mujtaba has also worked in global institutions like Citibank and ABN-Amro. He graduated from the University of North Carolina in the U.S.
A full-fledged banker with 30 years of experience and high academic achievements with Research; Ph.D and D. Litt. Sindhu is associated with many corporations and financial bodies globally as a Banking Consultant. He is well versed with all banking parameters and is a visiting Speaker for several B-schools. Authored four books on banking and International Money market. Presently Sindhu is Director of EST Growmore ADV SA, Montevideo, Uruguay and EST Capital, Barr (Zug), Switzerland. He is responsible for working towards creating a new way of banking – Crypto Banking and he is advising many central banks across Africa for the same. An Investor in early startups, A Global Mentor and 20 years of experience in the innovation domain and is in the advisory of scale-up strategies. 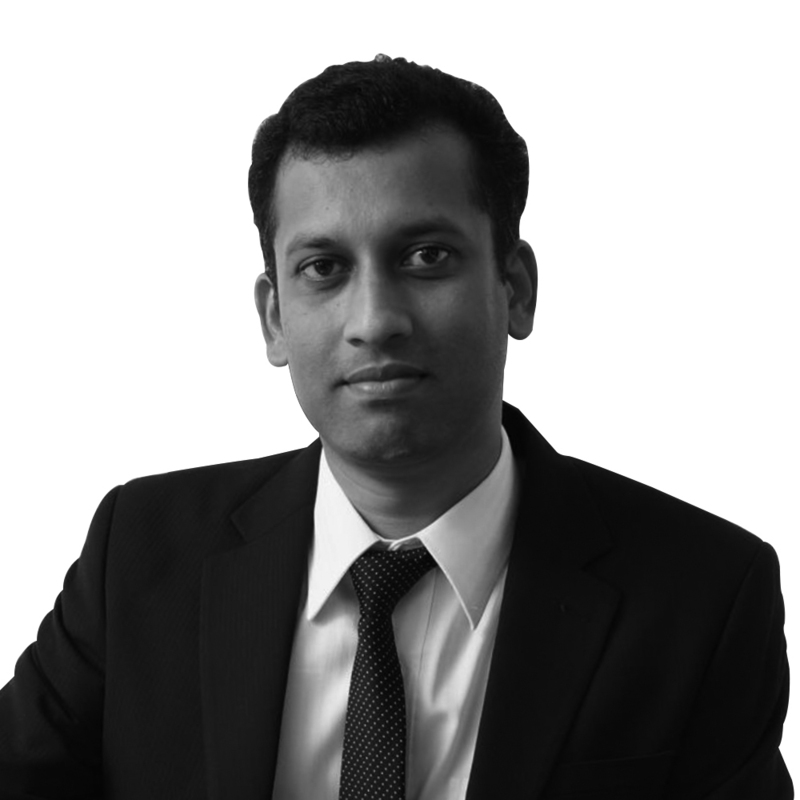 Rajesh is a keen observer of the emerging economies and follows the global shift to the east. Serves on the Board of WMC, a diaspora organization started out of New Jersey, USA and CDEP, an India Entry think tank was working for Indian repatriates. He founded Pulin Hill, a boutique advisory firm. He is the Co-founder of InQ Innovation involved in creating a Global Innovation Ecosystem by connecting global resources using a global mentor pool. Raj is also a strategy advisor and angel to startups. Some of his investments are in Leisure, Blockchain, Media & ARVR, Martech and Cleantech. He is a STEM and Management Graduate with FMCG (Mondolez-Cadbury), Big Oil (ExxonMobil) & Scale-up knowledge. A technology evangelist who has more than 19 years experience in ICT, IOT and AI. He has been an advisor to many industries transforming into Blockchain technology. 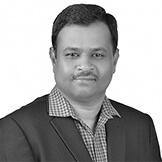 Anand has worked with fortune 500 companies like Novartis, Novo Nordisk, Relsys Inc (Oracle company), Take Solutions, Lionbridge Technologies, HCL Technologies, MphasiS, and Cognizant Technology Solutions. Anand is an alumnus of BITS Pilani and IIPM New Delhi. 10 years of experience as an advisor to the financial debt and restructuring, Investment Banking, Receivable Finance and Structured Trade Finance solutions. 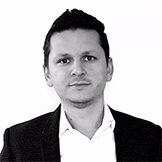 Matias has been a key member/advisor of executions carried out of the major financial institutions in today’s market in the industries of consumer, utilities, technology, oil and gas. He has managed and concluded business transactions in Asia, Australia, Africa and Europe, whereby he has established a comprehensive contact network spread over these 4 continents. 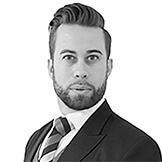 Matias has extensive experience of the full range of investment banking products and services, of structuring complex financing solutions, including asset and receivable financing, debt and balance sheet restructuring, leasing structures and structured trade finance transactions for clients.